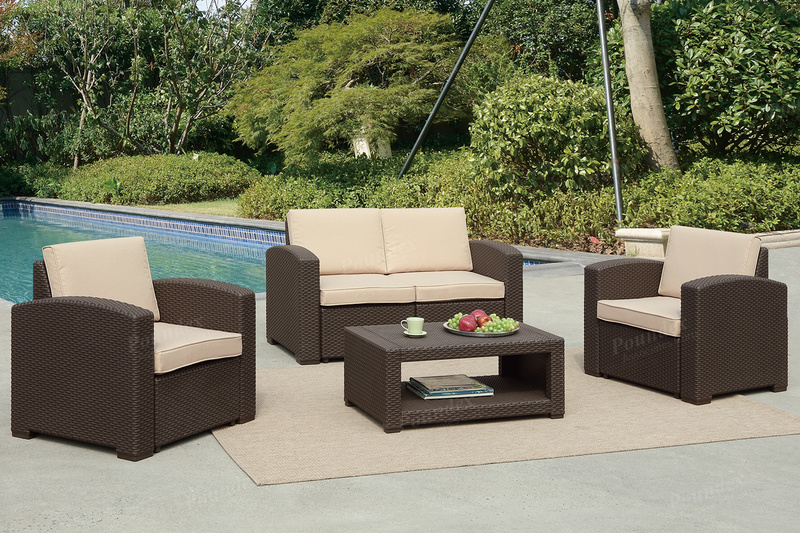 Blends of colors caress the surface of these patio sofa sets featuring a variety of seating options from a simple arm chair to a love seat and sofa for even more space. 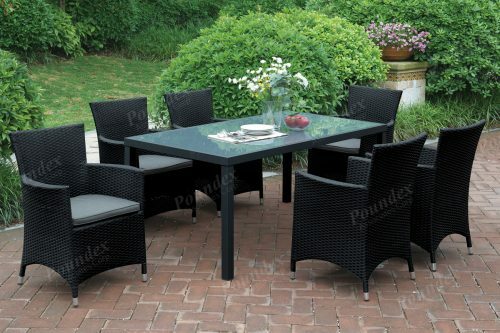 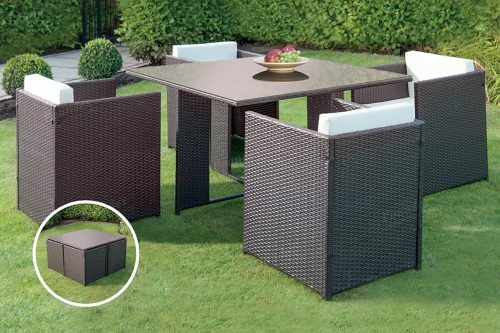 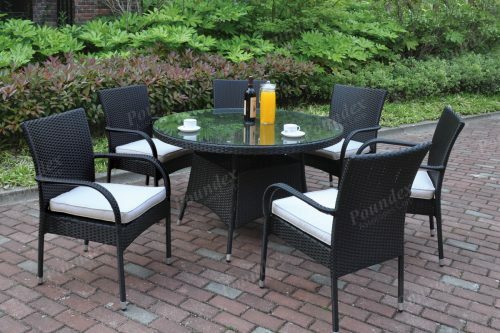 Its simple design compliments any outdoor space with a contemporary flare. 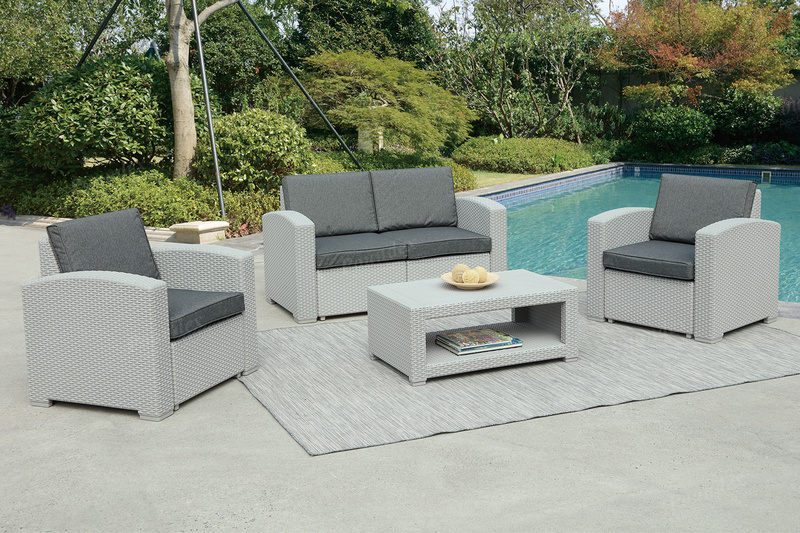 Mix and match with seating options and add a cocktail ottoman to complete your set. 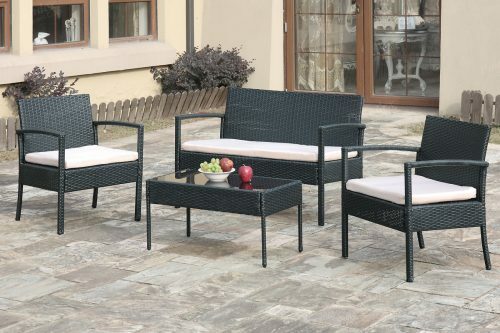 Available in color combinations of tan/brown trim or bluish gray/light gray trim.